So I’ve finally come to the climax of the third Stanislavski book: Creating A Role. It’s been a long journey, trudging through all three books, including the first ‘An Actor Prepares’ and the second ‘Building A Character’. It’s taken me a good couple of years, if not longer, of having a read, putting it down, picking it up weeks later and then forcing myself to mow on through their endless pages of words and technical terms. Not easy when you’re dyslexic. But at last, I’ve completed the final page. To be honest, a lot of it is common sense when it comes to acting. But Stanislavski goes into greater detail – the deeper aspects of the acting role; stuff like “you must know Who you are, Where you come from and Why you’re here when you first set foot on the stage” through magic “what if’s”. It’s very deep and mind numbing at times. Reading the books is almost like trying to process heavy translations from another language, into meaning in your head. For someone with dyslexia, such as myself, who finds it hard to absorb information quickly, the books are heavy going and will definitely require a second read in some parts. But it’s been an insightful journey none the less. I’ve ordered The Complete Stanislavski Toolkit from Waterstones, which I’ve heard, from so many people, is far easier to understand and read than the original three books separately. So hopefully I’ll draw greater meaning and understanding from it. 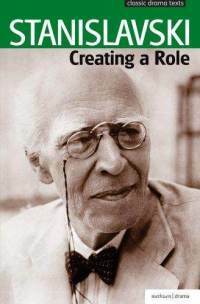 If you study Drama and Acting, do you find Stanislavski a hard read? What do You make of him and his books? Previous Post What for Christmas?